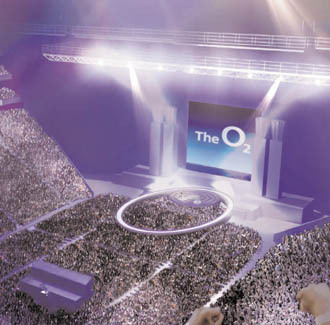 A few months ago I returned to the wonderful 02 having had such shocking service from T-Mobile in relation to a MDA Vario phone that thought it was a fruit machine and kept taking my money. I think 02 offer great customer service so this morning when I text the 02 VIP number to sign up to sales promo I was disappointed when an error message came back. I was all set to post about 02 cocking the launch of their new Dome entertainment thing up (imagine how many other people got the same error message as they took out full page ads in the nationals today) when I got a message later in the day apologising for the earlier mix up and telling me all was now sorted. 10 mins later and I was on the 02 VIP list... fair play to 02, their tech side is really good. Much better than the lo-down sneaky little buggers that are T-Mobile!